The Hotel Am Schloss Aurich impresses with its unique location at the outskirt of the historic center of Aurich. The direct access to the pedestrian area with excellent transport connection makes us the first choice for vacationer and business travelers. Within walking distance are the Auricher Sparkassenarena and the Stadthalle. The listed building of the former Piqueurhof combines historic charm with modern technology for communication and comfort. The building has been restored this year. From the facade to the entry, from the restaurant to the guestrooms the hotel is shining in new brightness. Our restaurants offer the perfect setting for breakfast, lunch and dinner with your family, colleagues and clients. Our ballrooms will be available for your occasions like family celebrations or meetings. 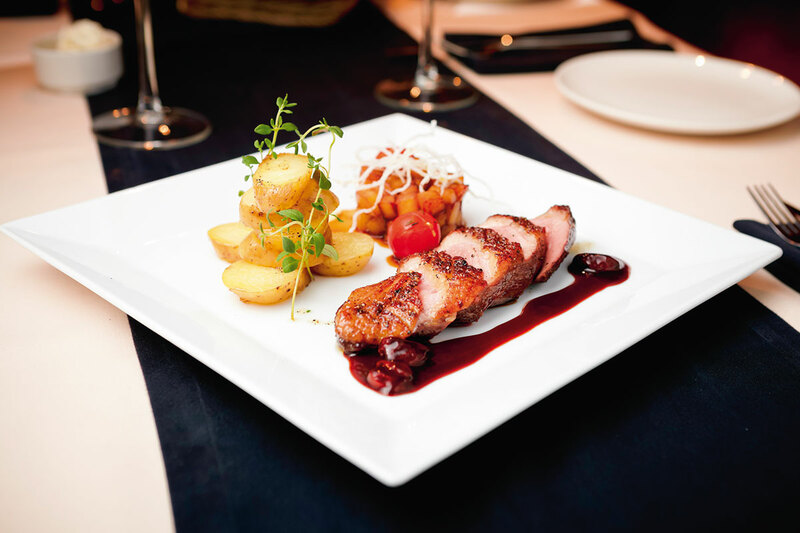 In our house restaurant we serve great seasonal food and regional specialities. 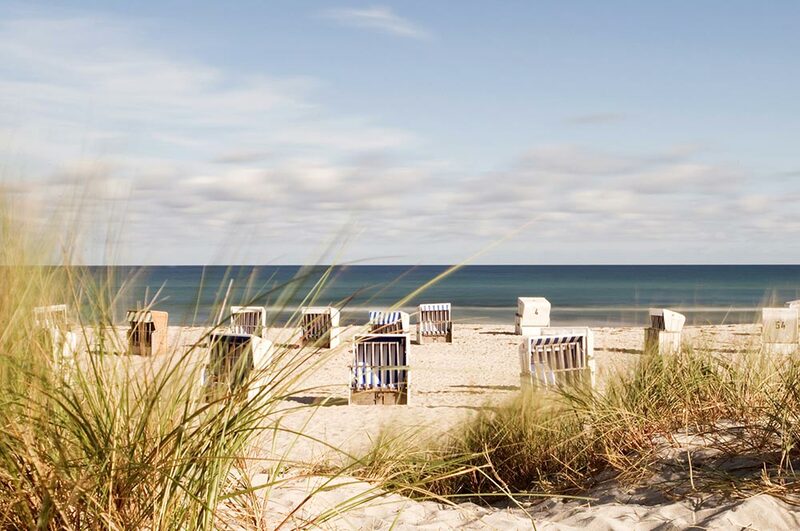 Great time-outs close to the Northern Sea: We have set up a few offers for a complete stay in our house. 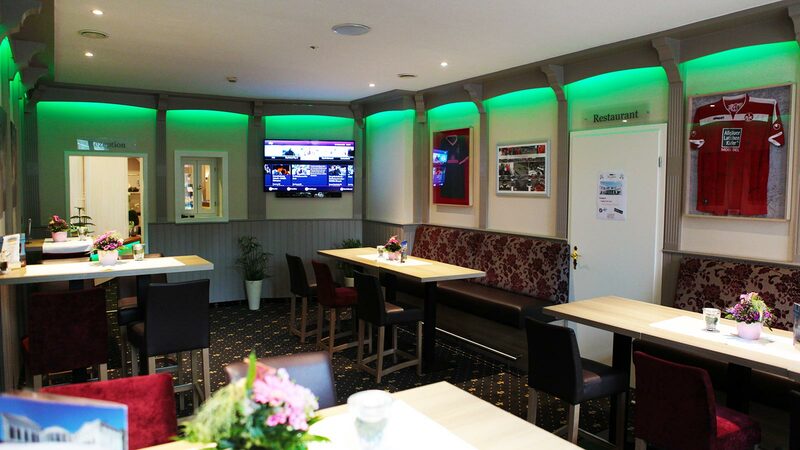 Soccer-Fans please note that we have a cosy sky Bar located in our house, broadcasting german and international leagues. The Hotel Am Schloss Aurich is a neoclassical monument. Constant and thourogh renovation makes it a modern extra class event space. Our house provides a handful of selected rooms for your events and celebrations. Newlyweds love our beautiful hall with floor-length windows and chandeliers. Meetings can take place in different smaller rooms all over the house. The hall is also convenient for congresses with up to 230 people. 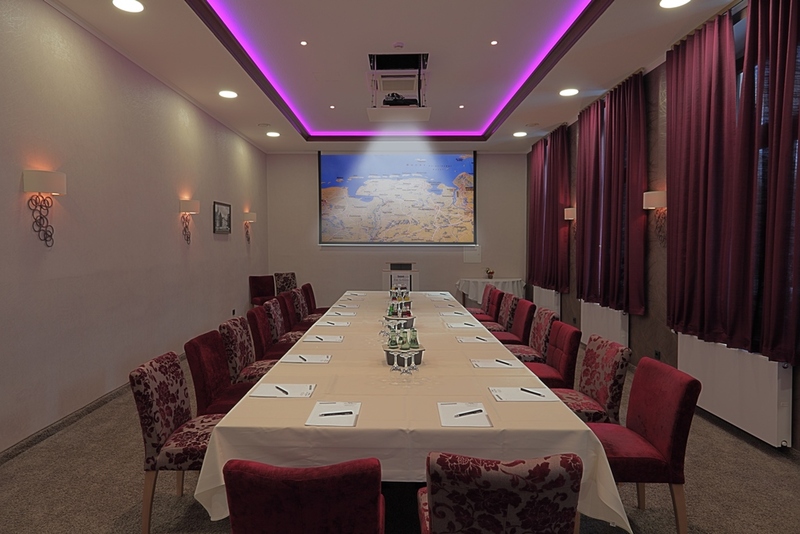 Professional meetings in a modern but traditional atmosphere: Our event managers will help you make up the perfect setting! 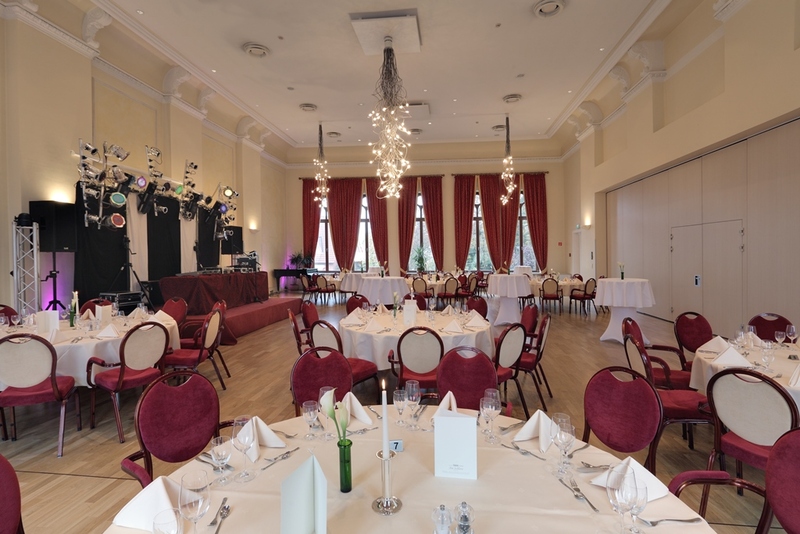 There's always good reasons for a celebration: birthday, anniversary, wedding... Hotel Am Schloss Aurich provides great spaces for great events.